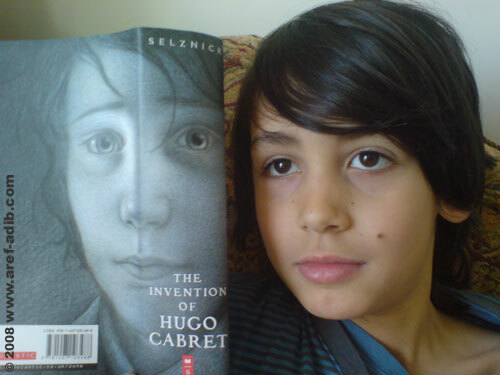 Max and I have just finished reading The Invention of Hugo Cabret by Brian Selznick. The book is about a 12-year-old orphan who secretly lives within the walls of a Parisian train station. Selznick was inspired by a 1902 film, Le Voyage dans la lune (A Trip to the Moon), by French filmmaker George M?li?s, the father of special effects, who is a character in the novel. The film is loosely based on two popular novels of the time: From the Earth to the Moon by Jules Verne and The First Men in the Moon by H. G. Wells. It is recognised as one of the first films of the science fiction genre.